Last week last week..... Get the time machine out! 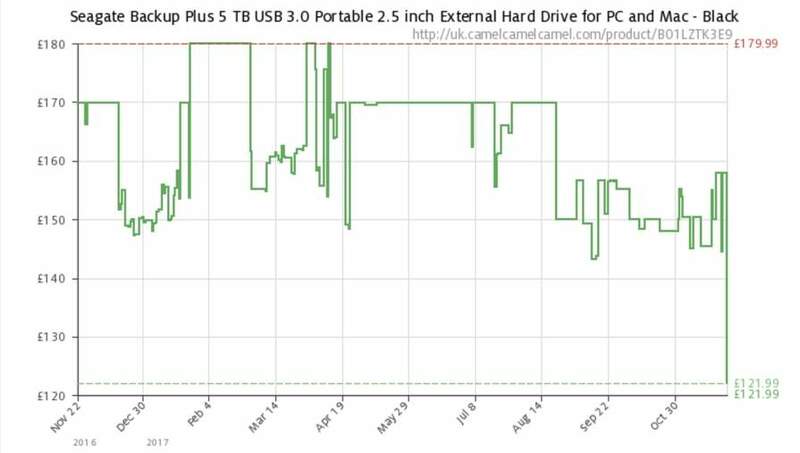 Not actually the all-time lowest price, as the 5TB ones were £114.99 last week. Still a good price, though! Great price. Also got one for £115 last week and have been impressed with the speed of writing backup data to it. Well over 100mb/sec continuous writing. Great product. But not the lowest price ever: I got this for £114.99 last week from Amazon. 5 TB is only worth 5 TB if you can back it up. To loose that much data makes me feel faint. Will this work with a Xbox one x? 5 TB is only worth 5 TB if you can back it up. To loose that much data …5 TB is only worth 5 TB if you can back it up. To loose that much data makes me feel faint. I'm really tempted to get this & strip it it out for use in my PS4 Pro, but I can't find much online about SMR drives in consoles. During gameplay, the HDD is mainly used for read activity, right? I can't think of many games that write on the fly, aside from autosaving. Only advice I'd give is that if this is for PS4 or Xbox One/X games then you'll only need 1 as games can be re-downloaded from your account if the drive fails. Any other kind of data you probably need 2, one to write to and one to back up to. Any good deal for 3.5 inch hard drives for PC? I bought the 4TB version and it just arrived and is plugged into the USB port on my PS4 (not Pro) and is seen as extended storage, capacity 3.68TB (4.04x10^12). Given the thickness of the case I doubt if the drive it contains will fit internally. These as reliable as WD? 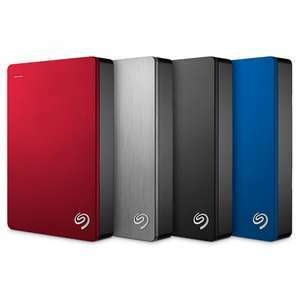 I am looking to get the 1TB. Is £48.99 a decent price or i can get them cheaper elsewhere? Are your backups all on 1.44MB floppy disks then? Should be fine, it's only external ones with USB Hub facilities that PS4 doesn't like. Are these 9.5mm or 12mm internally? i have shows 100% health after 4 years of use in my NAS. Seagate used to be great back in the days, but not nowadays, at least for me. I wont be buying any more Seagate drives, thats for sure. Yeah i think it was black only. I can't get it to format on my Big Mac - seems locked in Windows NT file system.